The total of 14,460 enterprise agreements that existed at 30 June 2016 is down a significant 42.6% from a high of 25,193 recorded within a year after the dismantling of the Howard Governments Workplace Laws in December 2010. An interesting statistic is that despite this decline in the number of enterprise agreements that the number of employees covered by such agreements has only declined by 24.2%. The Department of Employment indicated in a recent submission to a Senate Committee that the conclusion can be reached from these statistics that the decline in the number of enterprise agreements has been largely amongst small and medium businesses. We consider the future for enterprise agreements for small and medium businesses in response to this development. A new Workplace Relations system was introduced by the Howard Federal Governments reforms soon after its election in the mid-1990s. The reforms marked a concerted policy shift toward the negotiation of agreements whether enterprise agreements or individual agreements at the business level. Five broad options for an enterprise agreement became available that included the option of an enterprise agreement that was agreed directly between capital and labour at the business level under section 170LK of the Workplace Relations Laws that existed at the time. Later reforms enabled a business to seek approval for a ‘Greenfields’ enterprise agreement without a requirement that a union be a party to the enterprise agreement. A union had the ability to seek to be covered by an enterprise agreement, including non-union agreements negotiated directly at the business level under section 170LK, during the approval process before the Federal Industrial Tribunal. The bargaining rules did not provide the union movement with any rights to be involved in the bargaining process for a proposed enterprise agreement facilitating the possibility of truly direct negotiation between capital and labour at the business level. Small and medium businesses engaged in the bargaining process such that the number of enterprise agreements rose during this period to peak at a high of 25,193 agreements by December 2010. The Fair Work reforms introduced some key changes to enterprise agreements. 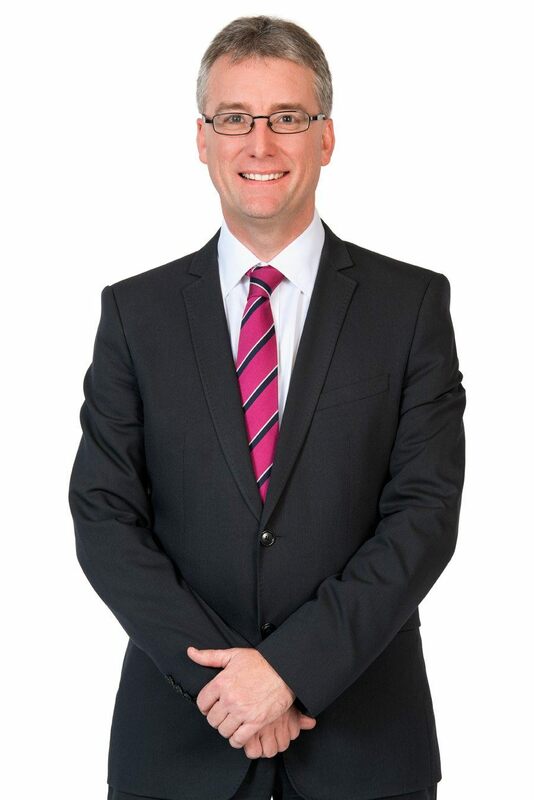 A single stream of enterprise agreement making was introduced removing the distinction between union and non-union enterprise agreements under the Howard Government Workplace Laws. The same broad options of enterprise agreements remained though a requirement was introduced that it was necessary for a union to be a party to a ‘Greenfields’ agreement. A union has the ability to seek to be covered by an enterprise agreement during the approval process before the Federal Industrial Tribunal in much the same manner as existed under the Howard Government Workplace Laws. Bargaining rules are significantly different though with, in particular, unions appointed as a default bargaining representative for a proposed enterprise agreement. The bargaining rules have provided unions with a default bargaining status that has placed the union movement at the heart of the enterprise bargaining process. A material reduction has occurred in the number of enterprise agreements approved since the commencement of Fair Work. The total of 14,460 enterprise agreements that existed at 30 June 2016 is down by a significant 42.6% from a high recorded almost a year after the dismantling of the Howard Governments Workplace Laws in December 2010.
Business have reduced their involvement in bargaining at the business level under Fair Work. A possible reason may be that businesses have been discouraged from engaging in the enterprise bargaining process by the simplified workplace relations system, in particular the new and simplified system of modern awards applying to employees across the country. Our experience is that another reason for the decline at least amongst small and medium businesses is the bargaining rules that have enhanced the role of the union movement making it more difficult to negotiate directly with employees for a proposed enterprise agreement. 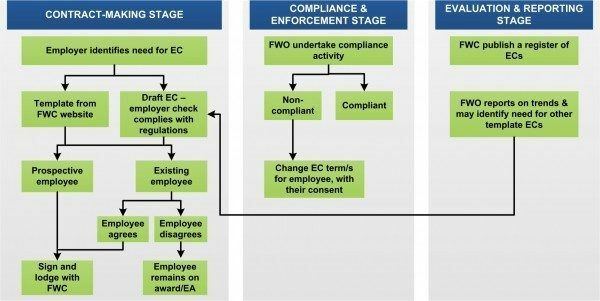 Fair Work’s bargaining rules in this sense are similar to those that existed under the original bespoke provisions that enabled enterprise bargaining at the business level introduced by the Hawke / Keating Labor Governments during the early 1990s. The relevant union was not provided with an opportunity to agree the terms of a proposed non-union enterprise agreement. Small and medium businesses did not engage in enterprise bargaining under these original bespoke provisions. Fair Work has seen a similar pattern emerge resulting in a material reduction in the number of enterprise agreements that cover small and medium businesses. We consider the future for enterprise agreements in response to this development below. The Howard Governments industrial reforms introduced the ability to formally enter into an individual statutory agreement known as Australian Workplace Agreements. Australian Workplace Agreements or AWAs as they became known would, despite been part of the Howard Government’s initial reforms, later become a lasting symbol of the unpopular Work Choices regime. Fair Work would later remove the ability for a business to agree with an individual employee to enter into an Australian Workplace Agreement. The Productivity Commission has in its review of the Workplace Relations system “floated” the idea of a possible new type of individual statutory agreement to be known as the “enterprise contract” to, in particular, meet the needs of small and medium businesses. An enterprise contract would, subject to a no disadvantage test, enable employers to vary a term(s) of a Modern Award for an entire class or group of employees without the need to either negotiate with each employee on an individual basis or form the basis for an enterprise agreement. In recognition of the high costs associated with current statutory options (in particular enterprise agreements) the PC proposes measures to minimise the costs associated with the adoption of the enterprise contract that are accompanied by a range of safeguards. The PCs later recommendation to introduce an individual statutory agreement known as an Employment Contract has not being enthusiastically endorsed by either of the major parties suggesting that such an option remains politically unpalatable. Fair Work has introduced changes that have complicated the enterprise bargaining process. An option for reform of the Federal Workplace Relations system would be to provide for a form of enterprise agreement that is accompanied by modified bargaining rules to, in particular, genuinely meet the needs and demands of small and medium businesses. Small and medium businesses are after all the group that has not as yet participated in enterprise agreement making during Fair Work. No ability for a third party to negotiate on behalf of either the employer or the employees. No ability for either the employer or the employees to obtain bargaining orders such as orders requiring the other party to negotiate in good faith. A simplified statutory declaration to be signed by the employer. The FWCs decision as to whether to approve the proposed enterprise agreement to be done on the papers except where there are exceptional circumstances. A simplified enterprise bargaining process could be an attractive option encouraging small business to re-engage with Fair Work which may be beneficial for South Australia with its high proportion of small business particularly if it was accompanied by productivity improvements. Submission of the Department of Employment to the Senate Education and Employment Legislation Committee Inquiry into the incidence of, and trends in, corporate avoidance of the Fair Work Act 2009. Professor Peetz and Serena Yu also suggested in their report that a driver of the decline in enterprise agreement numbers was a reduction in new deals covering small business. See Research Report 4/2017, Explaining recent trends in collective bargaining. In the Productivity Commissions preliminary report produced in 2015. As contained in the Productivity Commission’s final report released in December 2015.